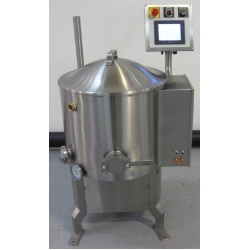 125 Lb / 55 Kg Chocolate Temperer & Conditioner - Chocolate Melting & Chocolate Tempering - Savage Bros. Perfect for medium artisan retail operations using chocolate compound, icings, fondant, etc. Also suitable for industrial operations with similar melting ranges for products such as wax, soaps, cosmetics, etc.